6 x 18cm. 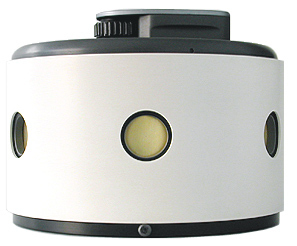 The shutter is the white plastic cylinder that forms the outside of the camera. All six pinholes are uncovered simultaneously, when the shutter is rotated. More info and cameras at the CasadoPinhole website. Love their minimalist approach. Next Next post: Nothing’s up here.